Apply to join our National Student Advertising team! Each year, our team, made up of hardworking and driven students, works hard to create a fully integrated advertising campaign for a corporate client. In the spring, we compete against other teams and present to industry executives. This is an amazing way to dive deep and learn from other inspired students. Illinois NSAC team members not only strive to place at regionals and beyond, but truly want to learn how to put together an integrated and full advertising campaign. Hailing from a small town in southern Illinois, Nick is an Advertising major and a Creative Writing minor. With an ear to the cultural ground, he always looks to keep up with everything happening both on the forefronts and behind the scenes in all creative mediums, whether that be film, music, or (of course) advertising. Headed down the homestretch of his college career, Nick hopes to use his senior year to hone the skills he's gained so far and lead the NSAC team to an awesome and successful campaign. 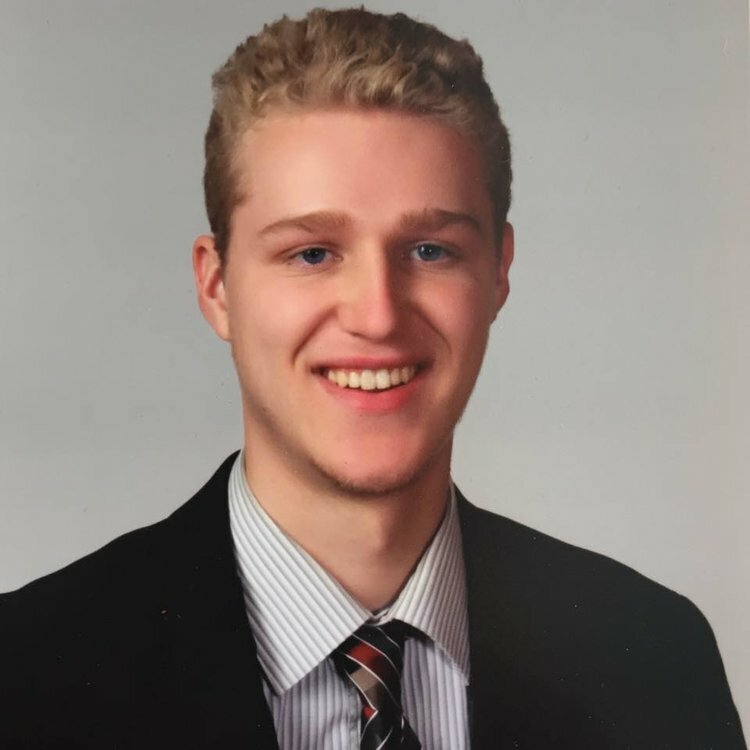 Jesse is an Undergraduate at the University of Illinois at Urbana-Champaign pursuing a degree in Advertising. Fascinated by technology and hands-on projects ranging from simple Arduino builds to articulating animatronics, Jesse is ready to tackle any project. A passionate soccer fan, Jesse owns over forty soccer jerseys sporting the crests of teams that range from Europe to the depths of Mexico. Soryane is a senior advertising student who is also pursuing an undergraduate research certificate and informatics minor. She loves using different tools to find out new information and trends about people! She hopes to be a future market researcher after she graduates. Alex is a Senior majoring in Advertising. After a great experience on NSAC last year, he is excited to continue on in a leadership role. He loves working as part of a team to achieve a common goal, and hopes to use his collaborative and communication skills to excel in his future career. Favorites: Labrador Retrievers, the New England Patriots, Italian Beef. Mary is a senior studying Advertising with a minor in History. Mary joined AAF her sophmore year, working as on the strategy team for both Snapple and Tai Pei Frozen Foods. Mary is interested in account management and strategy, with hopes of becoming a digital strategist upon graduation. questions about joining the team? Application information for the upcoming school year will be released in the middle of September. Our members get together a few nights each week to focus on different parts of the campaign including research, strategy, media planning, and creative executions.